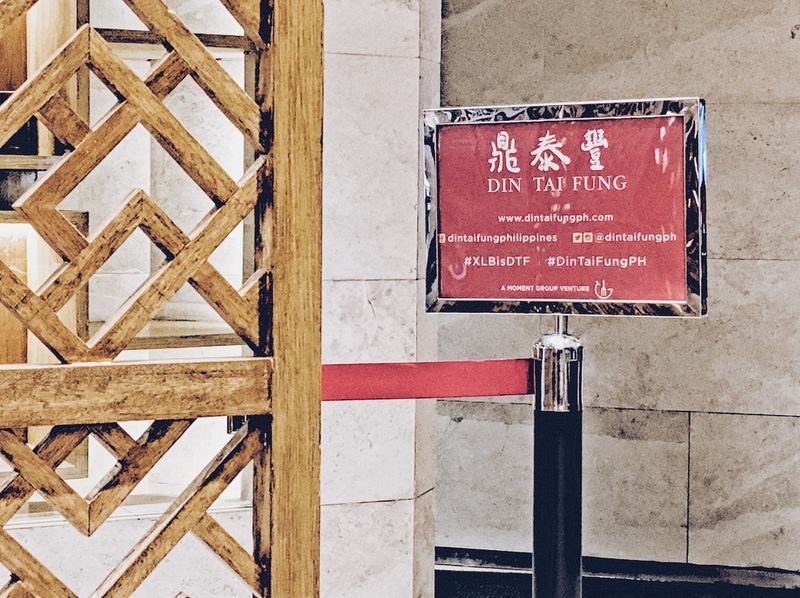 By now, most of you must have already heard of Din Tai Fung. 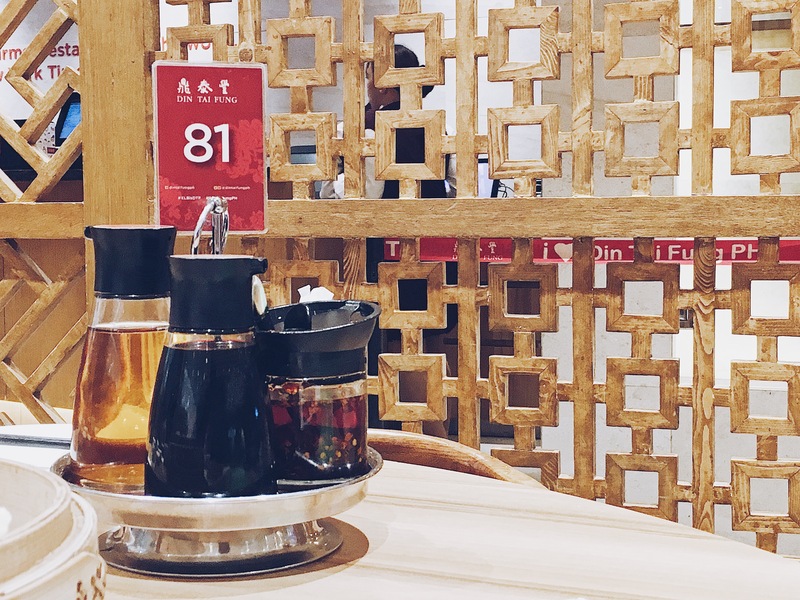 Din Tai Fung was founded in Taipei, Taiwan in 1958 as a cooking oil retail shop. 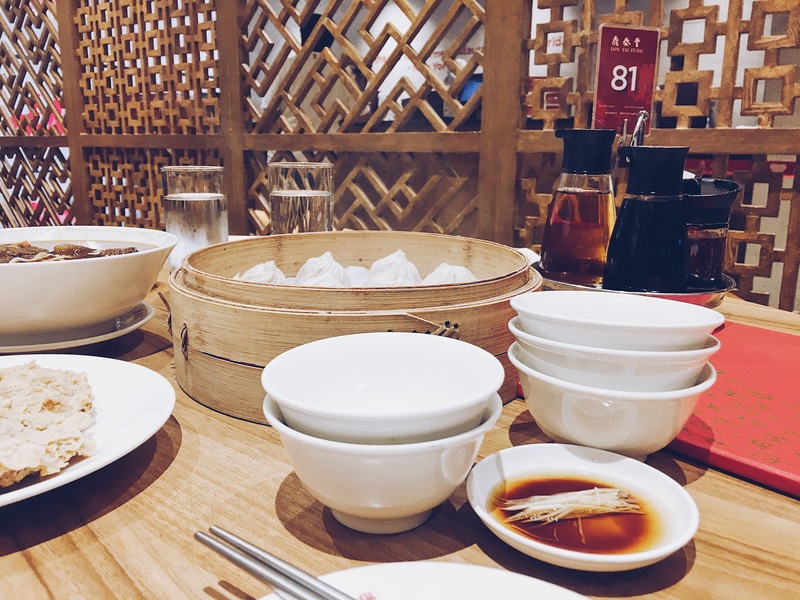 In 1972, it transitioned into a full-fledged restaurant specializing in soup dumplings and noodles. The restaurant was soon winning rave reviews from all over the world. 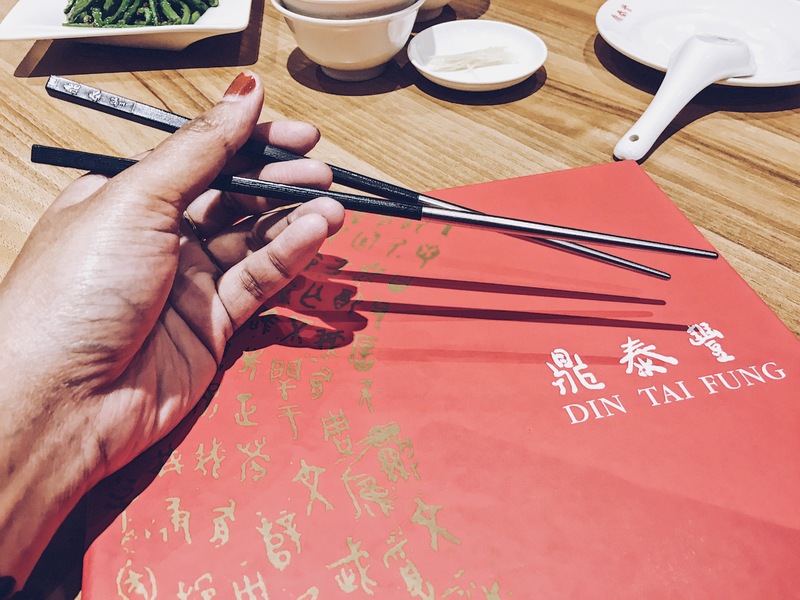 The tradition of Din Tai Fung continues today in its locations in the United States, Taiwan, Japan, Singapore, South Korea, Australia, Indonesia, Malaysia, China, Philippines, and Thailand. I find a lot of people love it, judging from the number of customers one branch alone gets per day and from the feedback and reviews I read online. Although I’ve been hearing about it for a long time now, I haven’t had the chance to actually eat there until today. 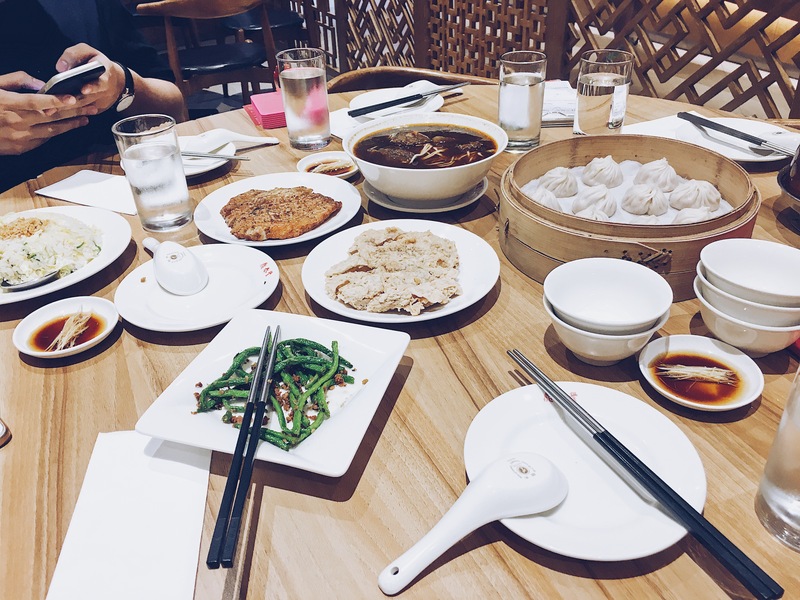 We dined there to celebrate my brother’s birthday and so it was the first time that I had a glimpse (and taste) of Din Tai Fung. 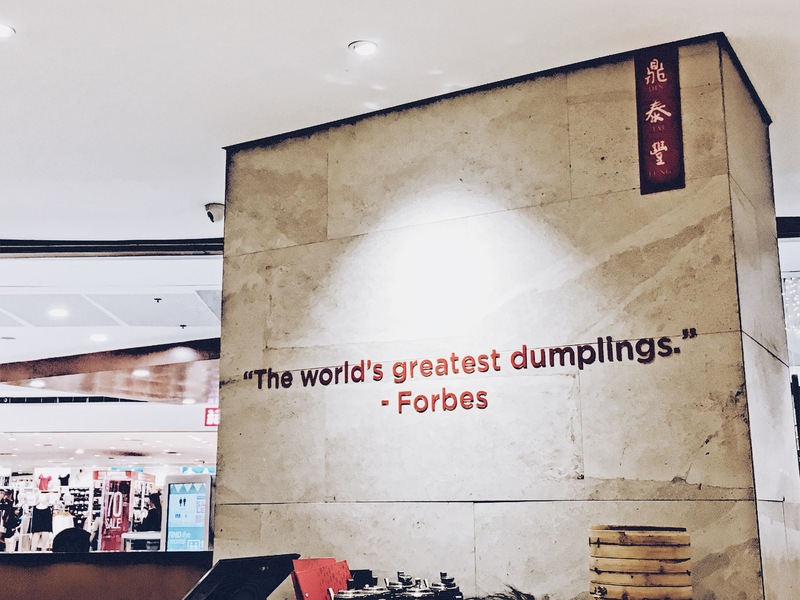 I was emotionally ready to try their xiao long bao, a dumpling dish that’s their customer favorite. Apparently, everyone can’t stop talking about this. 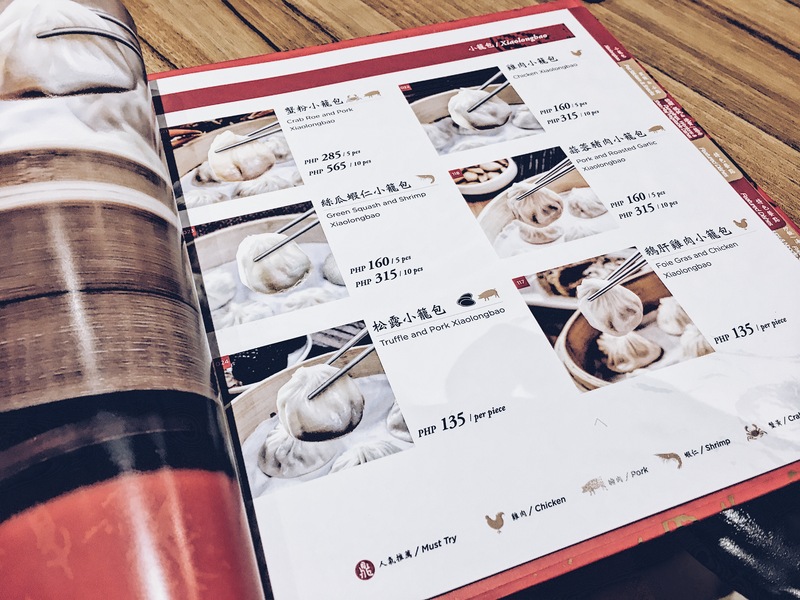 I don’t have a point of comparison since I haven’t tried a xiao long bao from any restaurant before (I’ve always been afraid that I might burn my tongue from the soup). Anyway, here’s a glimpse of the restaurant. We went to the SM Megamall branch, by the way. I noticed how all the servers we passed by greeted us welcome, so that was kind of nice. Some servers would just ignore you until you call their attention. 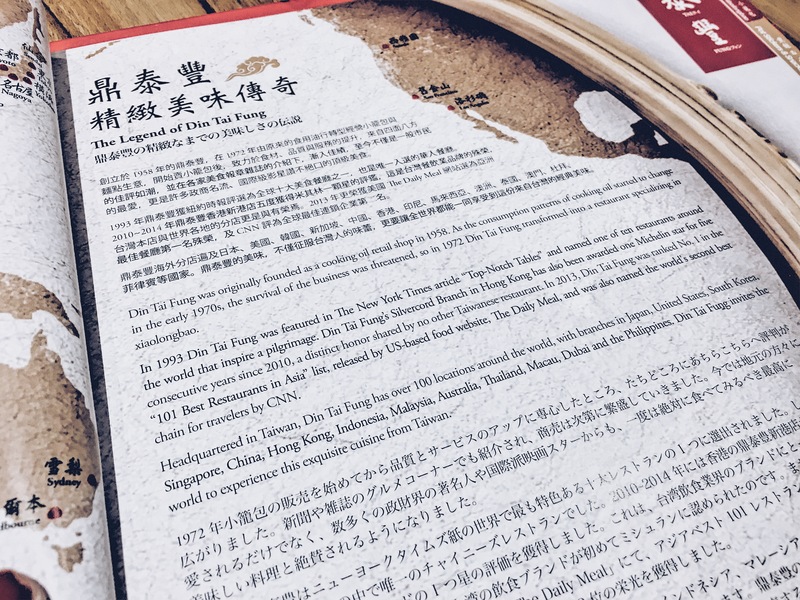 It’s nice that their menu has a page that discusses the history of the restaurant. The first time that I saw something like that was in Yabu. It adds to the value of the restaurant because, at least, the customers would know how the business was established and such. I know, I know. I love my rice. Unless it’s a ramen place or any other restaurant that specializes in other dishes, I will always look for rice meals first. But fret not, fellow rice lovers. They do have rice meals. You just have to read the menu thoroughly. I like their menu because it’s clean and organized, and it looks easy on the eyes. I also noticed these legends at the bottom of this page. Ain’t they cute? ? Price-wise, the food is not that expensive. Go to a different restaurant and you’d probably see the same price, if not a bit higher. 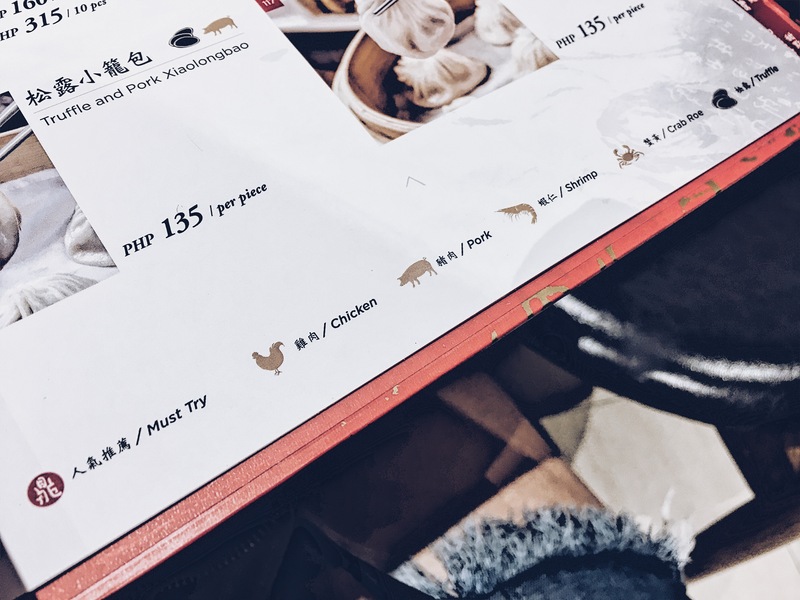 What makes it expensive is the service charge per order and the collective bill from all the dumplings you eat. I mean, if you’re only going to eat something light, then you’d most likely place a lot of orders. 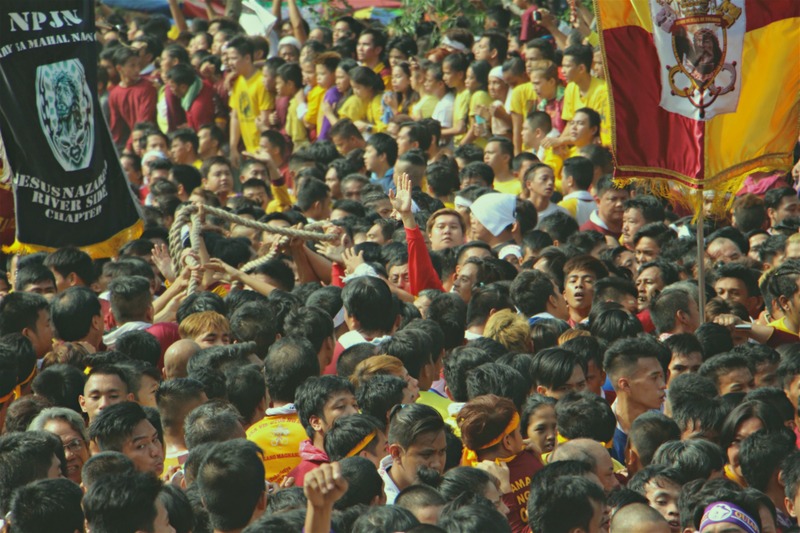 Like, compare a plate of rice dish (1) with several orders of fishballs (2 or more), or something to that effect. 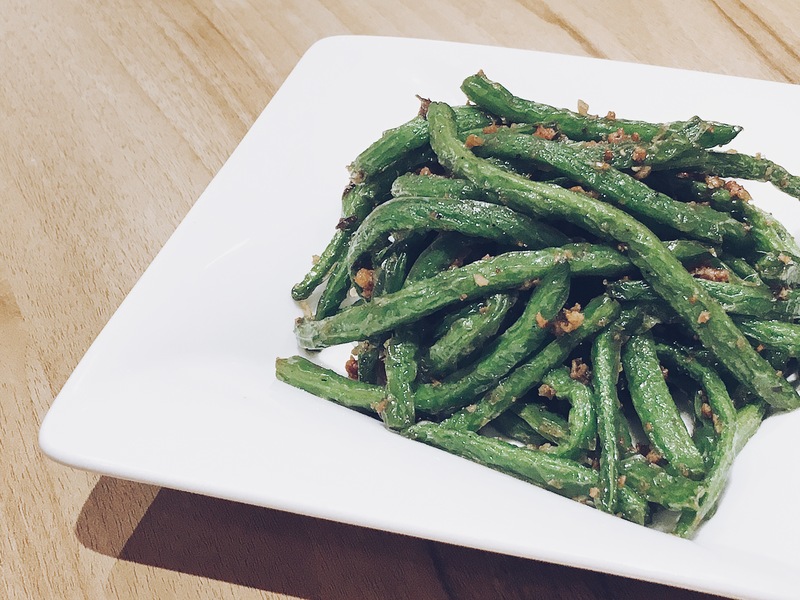 We had this plate of string beans for appetizers. To be honest, though, give me a plate of rice and I’m good with this. I can’t believe some people would consider this an appetizer. 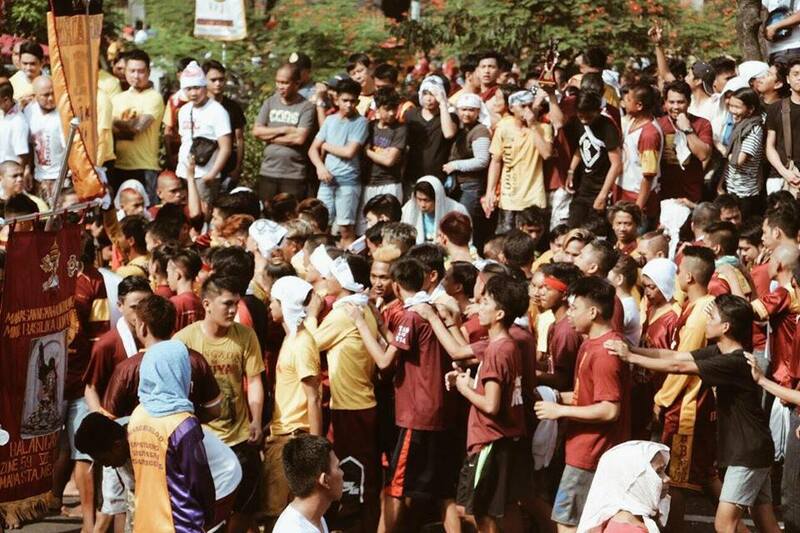 Laman tiyan lang? LOL. 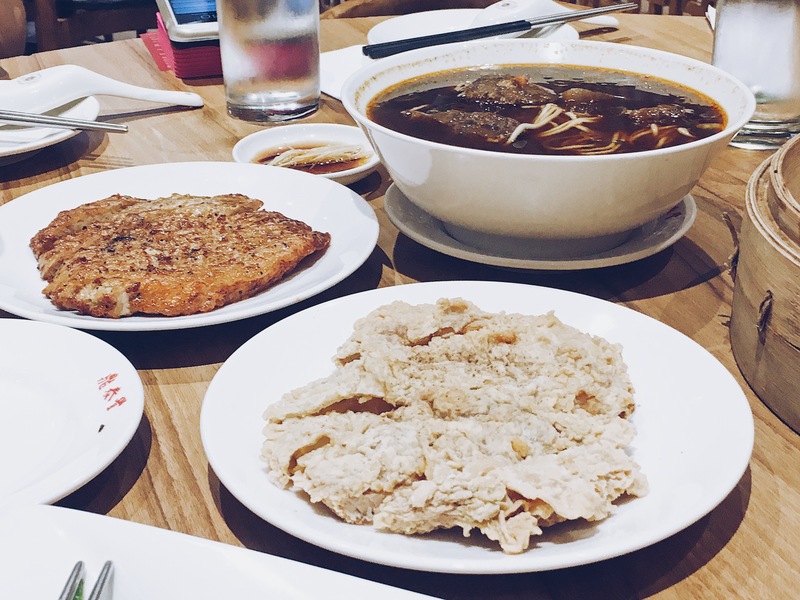 We also ordered pork and roasted garlic xiao long bao (Php 315/10 pcs), steamed shrimp and pork shao mai (Php 200/5 pcs), fried chicken cutlet (Php 220), fried pork chop (Php 190), braised beef noodle soup (Php 295), and some other dishes that my mom ordered at the last minute. Overall, I’d give the food a rating of 6/10. Although I liked some of the dishes, I didn’t find every plate special. But I’m sure I have a different preference than some customers who’ve already frequented the place. Thinking about it, I guess it’s an acquired taste. 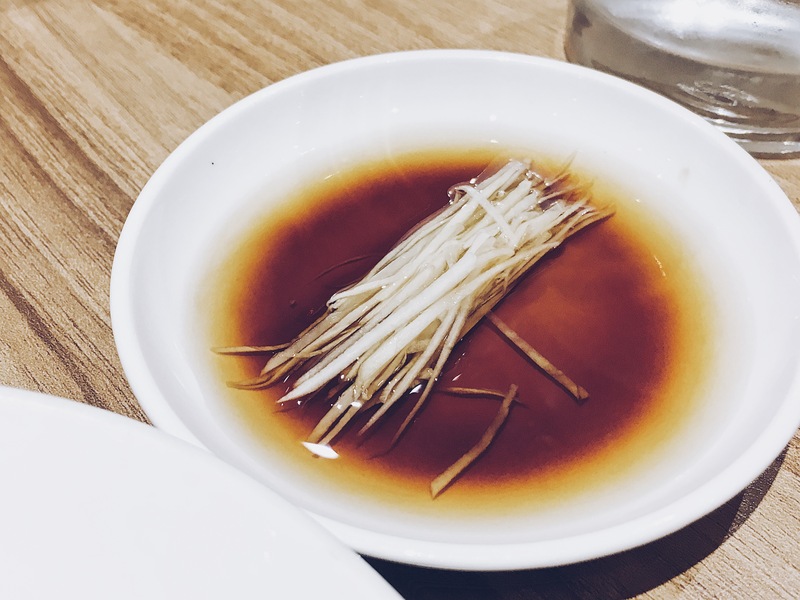 I didn’t like some dishes because I felt the vinegar taste was too strong, which I’m not really fond of. Eating at Din Tai Fung also made me realize that I’m more of a quantity over quality person. If I find something delicious, but I can’t have a lot of it, I might as well not have it. I’m a big eater, more often than not, so I prefer big meals. A girl could have her appetite, too, you know. ? Here’s a thumbs-up, though: What you see is what you get, literally. 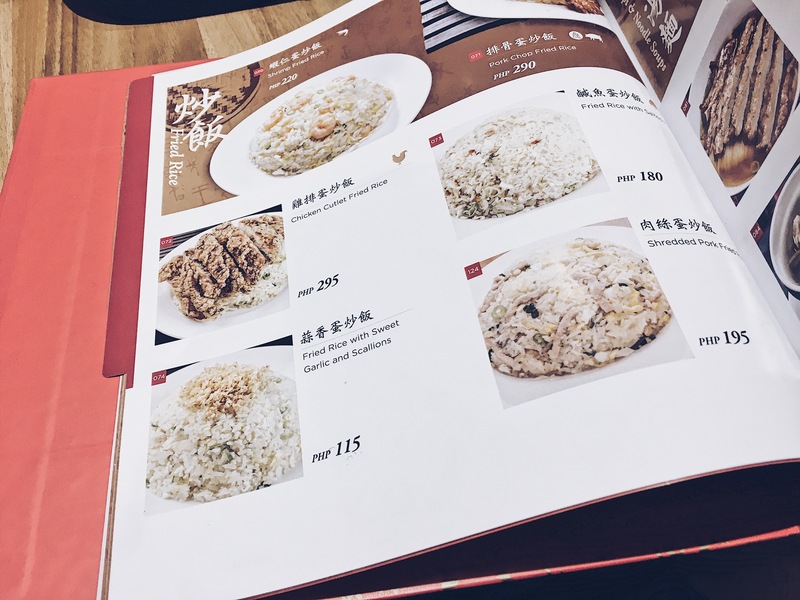 You can check your order based on the pictures on the menu. This is unlike most restaurants and fast food chains we know that advertise dramatic pictures but serve poop serving. Gross, but true. I especially liked the chocolate xiao long bao. It looks like an ordinary xiao long bao on the outside, but it has an explosion of chocolate pudding inside once you take a bite. 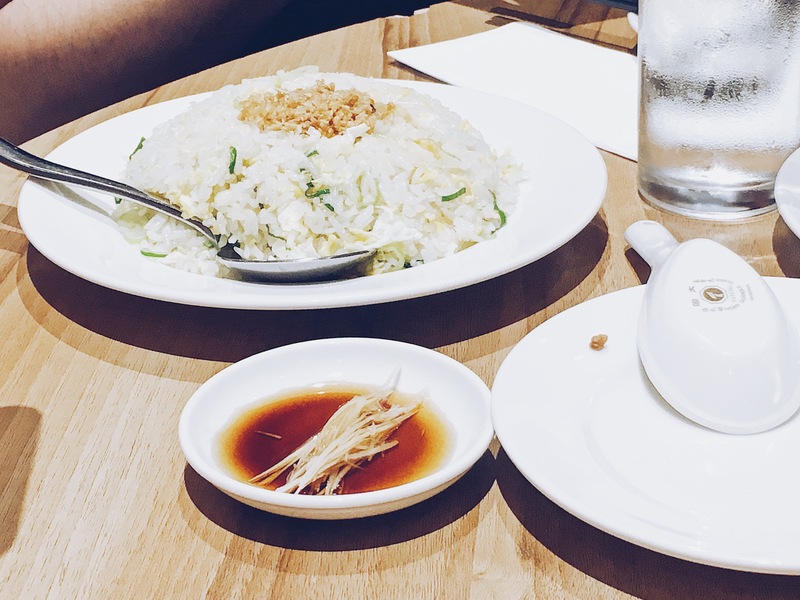 It was difficult to eat with chopsticks (their rice wasn’t sticky like Japanese rice), but I didn’t want to ask for spoon and fork because I didn’t want to look like I don’t know how to use chopsticks wanted to savor the moment. I can now attest how using chopsticks to eat is highly effective in encouraging you to eat lesser. ?? This is my personal opinion on the food, price, and restaurant. 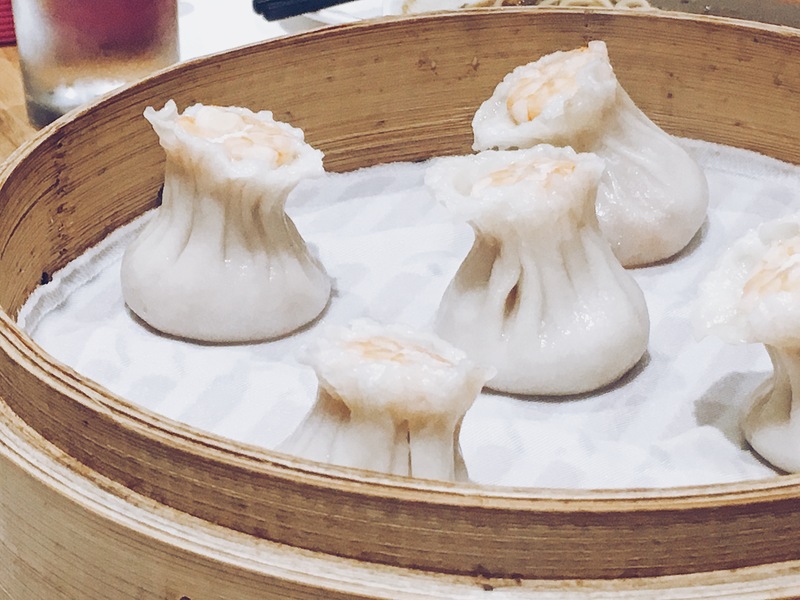 Despite my lack of expertise on reviewing dishes and restaurants, I hope that you still find this blog post helpful. I’m not saying that it’s not worth a shot. You just have to have a taste for you to know if it suits your taste buds or not. ? 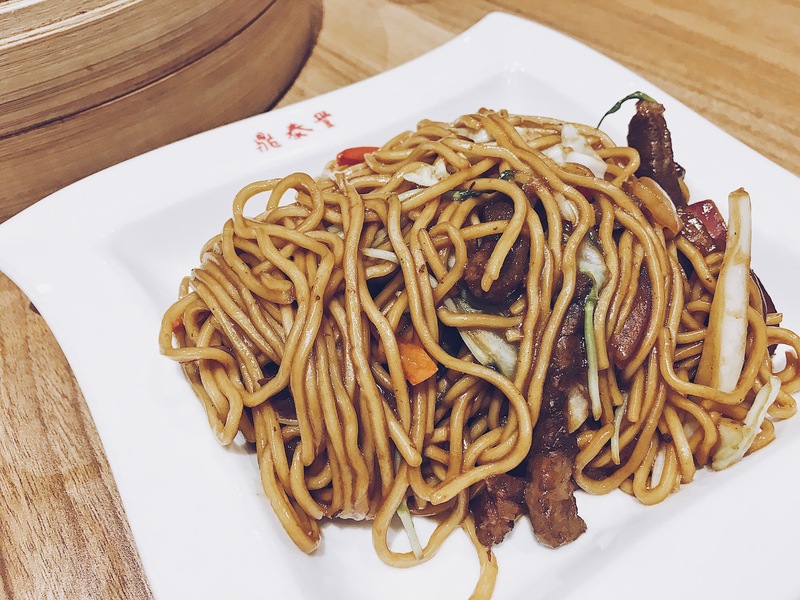 Have you tried Din Tai Fung? If yes, how was your experience?